Peggy Sanchez brings 28 years of diversified and progressive commercial property management to the RiverRock team. As Director of Property Management, Peggy spearheads the Rock U educational and training programs, working with the junior team members of RiverRock. She has the lead role in RiverRock’s growing sustainability commitment working closely with service partners to implement green practices in line with BOMA 360 Performance Program and EPA’s Energy Star programs, as well as handles management assignments within the RiverRock portfolio. Prior to joining RiverRock, Peggy was a General Manager with Cushman & Wakefield. During her almost 20-year tenure, she provided management services for a variety of ownerships, including receiverships, and managed or had direct responsibility of many different types of assets. Her expertise includes creative cost reduction and revenue creation. She dealt with distressed leases and renegotiating leases to aid tenants through the economic downturn. Peggy’s experience also includes a role as Asset Manager with IDM Corporation as well as Property Manager with Pacific Building Management. Peggy has served on the BOMA Board of Directors since 1990. She served as president of BOMA in 1993, 1999, 2000, and 2009. From 2009 to 2011, Peggy has been an instructor for BOMA, The Foundations of Real Estate. Underscoring her commitment to excellence, Peggy has received eight BOMA TOBY Awards on a local, national and international level. She was also awarded a BOMA Orange County Lifetime Achievement Award and has earned BOMA 360 Performance Excellence and Energy Star awards. 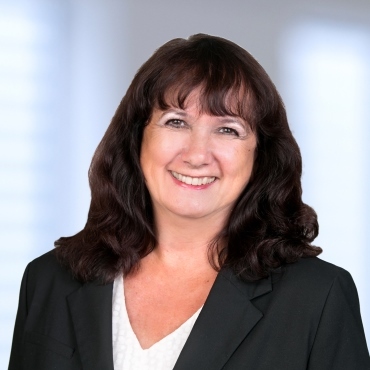 Peggy received her bachelor‘s degree in Psychology from the University of Maryland, Frankfurt, Germany and holds a master’s degree in Psychology from Goethe Universität, Frankfurt, Germany.